Sarah joined Latics in 2010 and we’ve lost count of how many people have passed their test with her! She’s certainly gives more than 100% to each and every lesson, and her learners love her. She’s also a Grade A instructor (the highest). You’ll find Sarah to be encouraging, very supportive and fun too so expect to fully enjoy your lessons! Three words to describe me: Friendly, fun & dizzy! One thing I would invent: A Time Machine – there aren’t enough hours in the day! Item I can’t live without: My mobile phone! 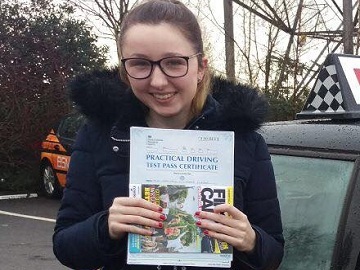 Sarah gives driving lessons in Ashton-under-Lyne, Bardsley, Chadderton, Delph, Denshaw, Derker, Diggle, Dobcross, Dukinfield, Failsworth, Greenfield, Hathershaw, Hollins, Hollinwood, Lees, Limeside, Moorside, Mossley, Oldham, Royton, Saddleworth, Scouthead, Sholver, Springhead, Stalybridge, Uppermill and Waterhead. 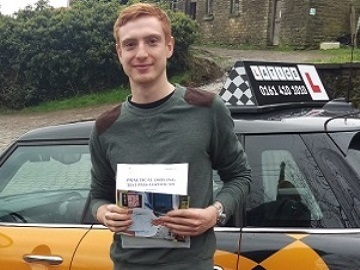 “Over the moon to have passed my driving test! 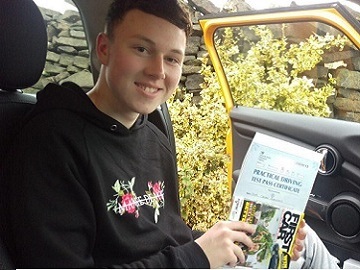 Which I couldn’t have done without the fantastic efforts from my driving instructor Sarah Royle, my lack of road awareness made learning to drive a huge struggle. “She took me on after two other instructors had let me down and got me ready for my test in a couple of months and helped work out the bad habits I had picked up from other instructors. She took the time and care to teach me how to drive and not pass a test. Each mistake I made she helped me figure out the problem step by step and gave me plenty of time to work through the manoeuvres I needed to know. She uses cameras forward and reverse to help playback my mistakes so I could learn from it. She also helped calm me down when driving (I had a little road rage when I started) she was polite and helpful throughout and an utterly great driving instructor that you can have a chat with and that has helped me pass first time with 3 minor faults. I would like to say a massive thank you to Sarah Royle. I just wanted to tell you how fantastic your instructor Sarah Royle is. I would like to say a massive thank you to my instructor Sarah Royle. I would like to say a big thank you to Sarah Royle for the superb driving lessons! I’m ridiculously glad that I had my lessons with Sarah! Sarah Royle was very supportive! Sarah was a pleasure to work with! I recommend Sarah to everyone! Sarah was a brilliant teacher! Sarah Royle is a credit to your team! Just wanted to say a massive thank you to my instructor Sarah Royle! 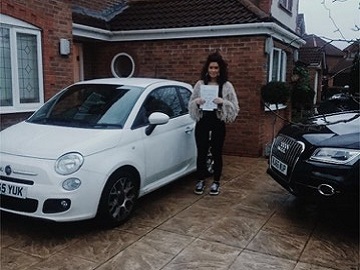 “I passed my driving test this morning and I would just like to let you know how pleased I am with your instructor Sarah Levay. 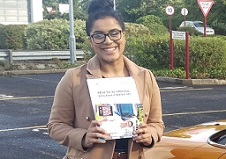 She has been brilliant with me, patient, kind, informative, supportive, reliable and provided me with lots of guidance and a thorough knowledge of driving. I took driving lessons with Sarah and passed first time! 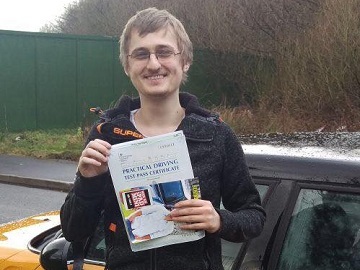 Great first time pass Adam! 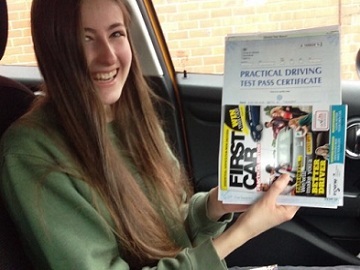 Great 1st time pass Freya! 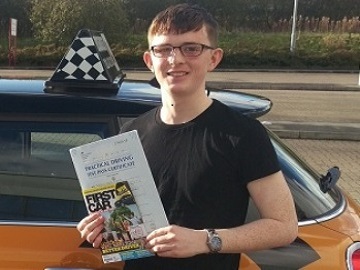 Fantastic 1st time pass Carl!